Almost everyone knows the wonders of the good old faithful hummus, but most people don't know that you can make hummus or bean pate from almost any bean under the sun. This is a great way to get a variety of different beans and legumes into those fussy eaters who don't like eating whole beans and only takes 5 minutes to throw together. Butter beans lend a sweeter, creamier flavour and make for a dip that is high in protein, fibre and minerals. This version of hummus is also low in fat which means that it can be enjoyed as a low-calorie, filling snack for those trying to watch their weight. 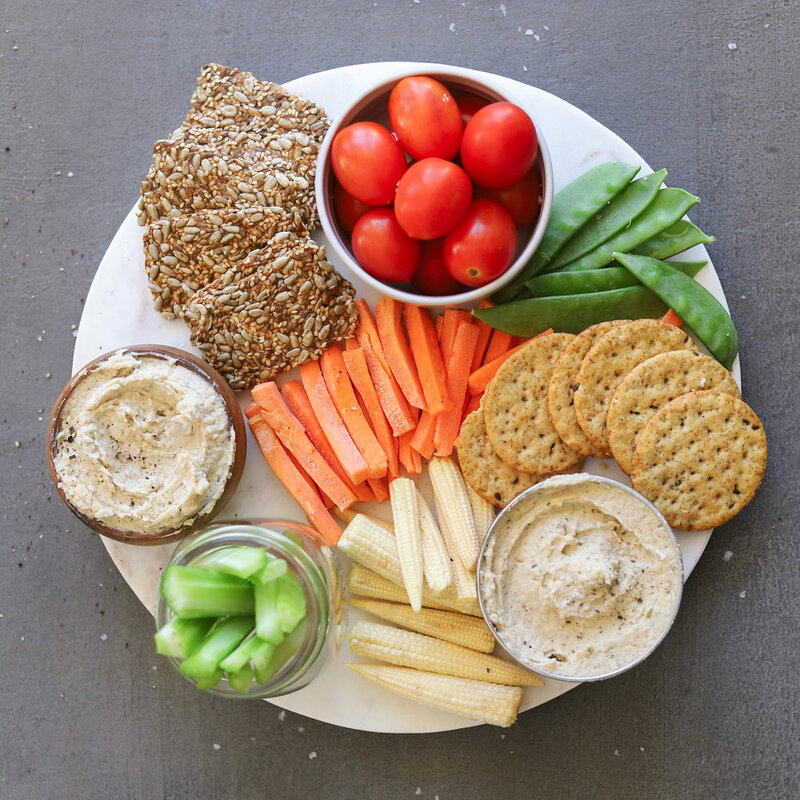 Enjoy as a snack on some whole-grain crackers or bread, as a dip for crisps and vegetables or as a spread for sandwiches and pita pockets. 1. Drain the tinned butter beans over a large bowl by pouring them into a sieve or colander. The bowl should catch the brine so that you can use some of this in your hummus. Once drained, set the bowl of brine aside and give the beans a quick rinse in the sieve under running water. This helps to remove some of the salt and make the beans more digestible. 2. Add the beans, along with 2 tbsp of the brine and all of the remaining ingredients into your food processor and blend until smooth. (The remaining brine can be saved to use as an egg-replacer in baked goods). 3. The hummus will keep in an airtight container in the fridge for up to 7 days and the flavour will improve with time! So make a big batch for the week and enjoy it as a healthy daily snack.